Arenales Climbing: Climbing season 2016-2017 has already started! We are happy to announce that the climbing season in Arenales Valley has just started with really nice weather and clean rock! 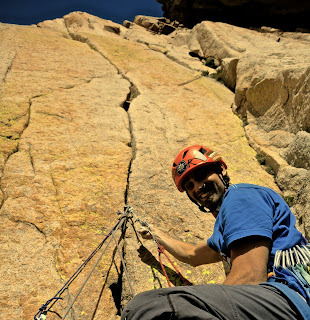 With the newest ARENALES -guidebook 2016 there's a lot of new clean lines waiting to be climbed. Come and enjoy this amazing place!